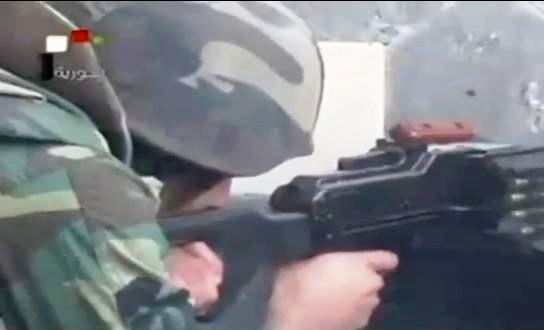 Hteytet al-Turkman in the Damascus countryside was under the control of al-Qaeda’s Jabhat al-Nusra (Nusra Front) until it fell to the Syrian Army within 48 hours, during a special operation conducted by Syrian Army and National Defense forces. This entry was posted in +AAArchive, Damascus, Damascus Airport, Damascus Countryside, Htaitet al-Turkam, Syrian Arab Army, Syrian Patriots, Syrian Resistance, terrorism, Terrorists, Terrorists killed, War Against Terrorism, War Criminals and tagged Damascus, Damascus Airport, Damascus Countryside, Htaitet al-Turkam, Syria, Syrian Arab Army, Syrian Army, SyrianFreePress, Terrorists, Terrorists killed in Syria by syrianetwork. Bookmark the permalink.